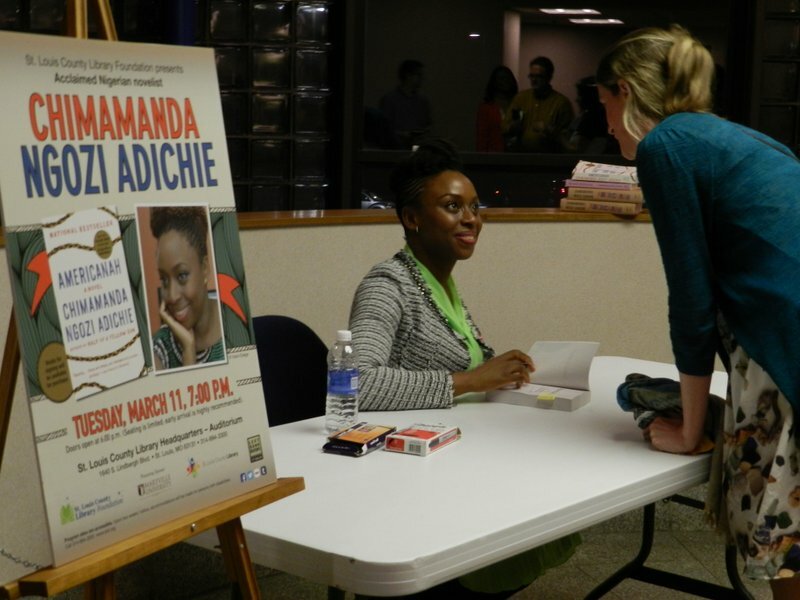 What caught my mind about Chimamanda Adichie was her TED talk of 2009, which I found while researching prior to her author event here. Her delivery of The Danger of a Single Story is amusing but passionate, worth listening to and not just because of her beautiful way of speaking. What does this have to do with memoir and lifewriting? For one, the characters in our lives don’t have a single story, they are three-dimensional people with perspectives based on their own experiences. Don’t make them all good or all bad (that goes for ourselves as main characters, too), and you might consider putting a bit of backstory into your characters– usually hints or short explanations, not long, distracting side stories. Why might they have acted the way they did? Second, the single story needs more stories to create a fuller picture. One person’s experiences in time and place are not representative of everyone’s in that time and place. This makes your story important to the grand drama of history and culture, or to the story of recovery and healing. Let’s write, and let’s read. This entry was posted in book talk, heritage, history, lifewriting, memoir writing, writing skills and tagged culture and heritage, lifewriting. Bookmark the permalink.